Cancer immunotherapy requires the use of a body’s immune system to fight off cancer. The three types of immunotherapies available are passive, active, and hybrid. The core functionality of immunotherapy revolves around the presence of tissue-associated antigens, or TAA’s, which are molecules present on the surface of cancer cells. These are more commonly found as macromolecules such as carbohydrates, or proteins. In the case of active immunotherapy, the immune system is directed to attack cancer cells by identifying TAAs, whereas passive immunotherapies involve the improvement of a body’s current cancer fighting responses. These include the usage of cytokines, lymphocytes, and monoclonal bodies. Immunotherapy may also be recognized as biological response modifier therapy, or biological therapy. Apart from cancer, the more common types of diseases that can be fought off using immunotherapy are psoriasis, multiple sclerosis, colitis, Crohn’s disease, and rheumatoid arthritis. The principal cause of requiring immunotherapies is the added boost they provide to a body’s immune system to defeat cancer, which the body could not have done otherwise. There are some biological response modifies that a human body can already produce, but the volume may not always be enough to successfully cure cancer, in which case lab produced drugs and treatments come into play. From a simpler perspective, immunotherapies can provide different types of responses within a body to fight cancer. These include building additional cancer-fighting cells, increase the vulnerability of cancer cells, convert cancer cells to normal ones, or manipulate the growth pattern and rate of cancer cells. Immunotherapy represents a niche treatment area in the medical industry, which involves a course of treatment that enhances or suppresses the immune system of a patient, making it capable of fighting a number of diseases such as cancer, a number of infections, respiratory conditions. The market for immunotherapy drugs has witnessed expansion at a significant pace in the past few years, chiefly owing to the vast rise in prevalence of chronic diseases and a variety of cancers, and the pressing need for effective drugs with fewer side effects. The market has also gained traction owing to the increased demand for targeted therapies across the globe and the approval of several immunotherapy drugs in the past few years, making the market more competitive and dynamic. However, certain factors are posing challenges to the growth of the market, including the high cost of immunotherapy drugs, vast capital investment required to initiate research and development processes, and strict drug approval guidelines across some developed regional markets. Nevertheless, vast growth opportunities can be observed for immunotherapy drugs in emerging economies and the field of cancer treatment as an alternative to chemotherapy. 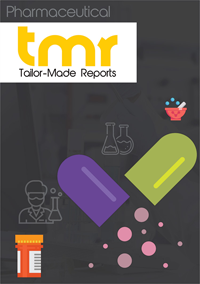 This report on the global immunotherapy drugs market provides a detailed qualitative and quantitative analysis of the present and past growth dynamics of the market, including an overview of determining factors such as drivers, challenges, trends, and opportunities. The report also presents an attractiveness analysis of the market and its key segments by criteria such as application, end-use sector, country, and competitive landscape. The competitive landscape section of the report analyzes the level of competition, competitiveness between key players, and market share for some of the key vendors in the market. Primary research, which forms the bulk of the research efforts undertaken to collate the report, included data sourced from e-mail interactions, personal interviews, and telephonic interviews. Secondary research efforts utilized while creating the report involved the thorough analysis of annual reports, company websites, stock analysis presentations, a number of national and international databases, and press releases. The report provides market size for all key segments across key regional markets in terms of US$ mn/bn over the period between 2017 and 2025, considering several micro- and macro-economic factors influencing the overall growth prospects of the market. The report segments the global immunotherapy drugs market on the basis of criteria such as end-user, application, product type, and geography. On the basis of product type, the report examines immunotherapy drug types such as vaccines, monoclonal antibodies, checkpoint inhibitors, and interleukins. On the basis of are of application, the market is segmented into infectious diseases, cancers, and autoimmune diseases. Of these, immunotherapy drugs for the treatment of cancer presently forms the bulk of revenue generated by the market. The significant rise in prevalence of the disease is expected to continue to lead to the demand for an increasing number and varieties of immunotherapy drugs in the next few years as well. From a geographical perspective, the immunotherapy drugs market has been examined for regions such as North America, Europe, Asia Pacific, and Middle East and Africa. Of these, the market for immunotherapy drugs in North America is presently the leading contributor to the revenue of the global market throughout the report’s forecast period. Asia-Pacific, with its vast pool of geriatric population and an affluent middle class willing to spend on quality healthcare products, is expected to emerge as the most promising investment destination for the immunotherapy drugs market over the report’s forecast period. Some of the key vendors operating in the global immunotherapy drugs market are Merck & Co., Inc., F. Hoffmann-La Roche AG, Bristol-Myers Squibb, GlaxoSmithKline, and AbbVie, Inc.